I received this text from my husband this morning. Totally made my day. Whose day can you make today? Send a text, a written letter, call someone up, make a special meal for your kids, bake a special cake for your other half just because, or take a friend to coffee. A friend sent me this short video. It’s an excellent clip on being a good and empathetic listener. 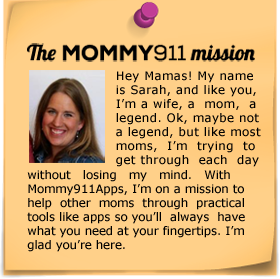 I’m sure we’ve all experienced lots of the opposite (especially the “at least” listeners), but as moms, couldn’t we all use some empathy? Someone to listen and just be with us amidst the struggles, amidst the sleepless nights, the frustrations with our own limitations, the feelings of helplessness when we watch our children struggle with school or friends or health? We’re in this together. Let’s support each other. Let’s listen. I am not a morning person. 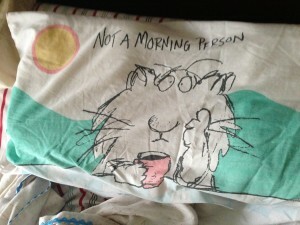 See, it even says it on my pillowcase. I believe I got this pillowcase when I was 10. Obviously, I wasn’t a morning person then either. I don’t like times that start with an “s.” The downfall is that mornings are always really rushed, and it sets a grumpy tone for the whole day. My husband has been getting up at 6:00 to start the day out right, so I decided that since it’s a new year, I would get up at the same time so that mornings would be a little smoother. I have to admit that the days have gone a lot better, but it’s been really hard to get out of bed. If you have someone to wake up with you, ask that person to wake you up. I even told my husband that he could tell me he wouldn’t love me anymore if I didn’t get up. He refused because he knows how I am in the mornings, and I wouldn’t see the humor in it. It is helpful to have him get up at the same time. Schedule your coffee pot to start brewing 5 minutes before you want to get out of bed. The smell of coffee is enticing and a great way to wake up. And it’s even better when you get to enjoy it by yourself and you don’t need to reheat it 5 million times. Have a routine. I start off with some prayer time/quiet time over my cup of coffee. Then I start a load of laundry, make my bed, wake my daughter, and get everyone’s breakfast ready. Ask a friend to hold you accountable to getting up early. It’s helpful to have someone check in and see if you’re accomplishing your goal. Give yourself a free pass on the weekends to stay in bed longer. That way, if it’s really brutal to get out of bed, you can count down the days until Saturday. And if none of this works, then pick a different goal. I won’t judge. I promise. Note: if you have a kid that doesn’t sleep/crying baby, sleep when you can. Sleep deprivation is truly torture. 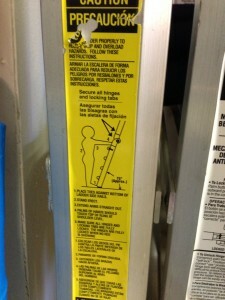 Over the past few weeks, Micah (4) has been noticing all the warning labels anywhere we go. 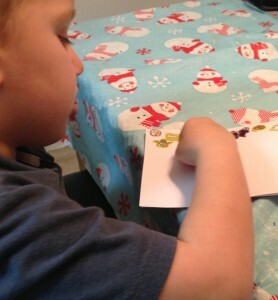 He asks me to read them and tell him what they mean. 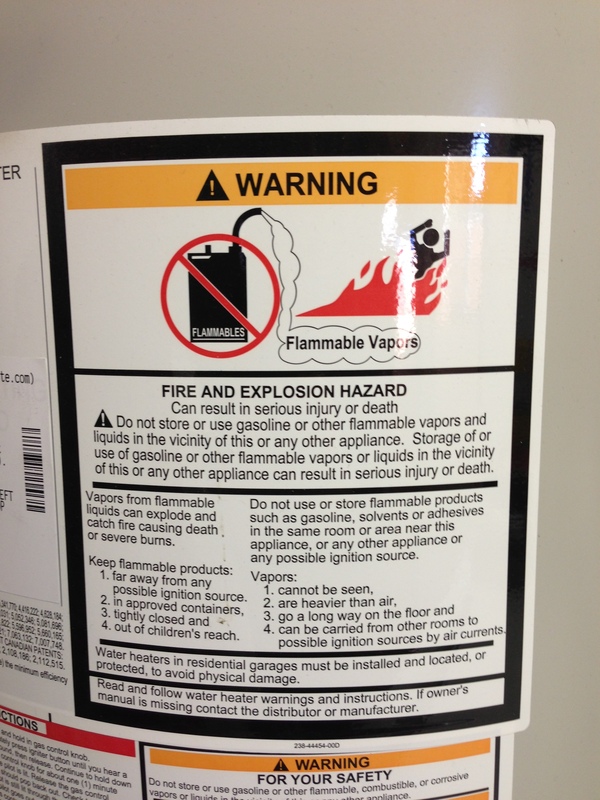 Confession: I don’t really read warning labels. 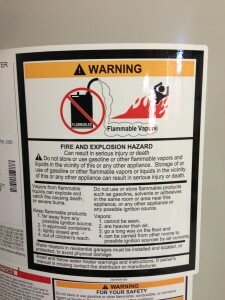 A lot of things are self-explanatory, and warning labels have become so commonplace that it’s easy to miss. 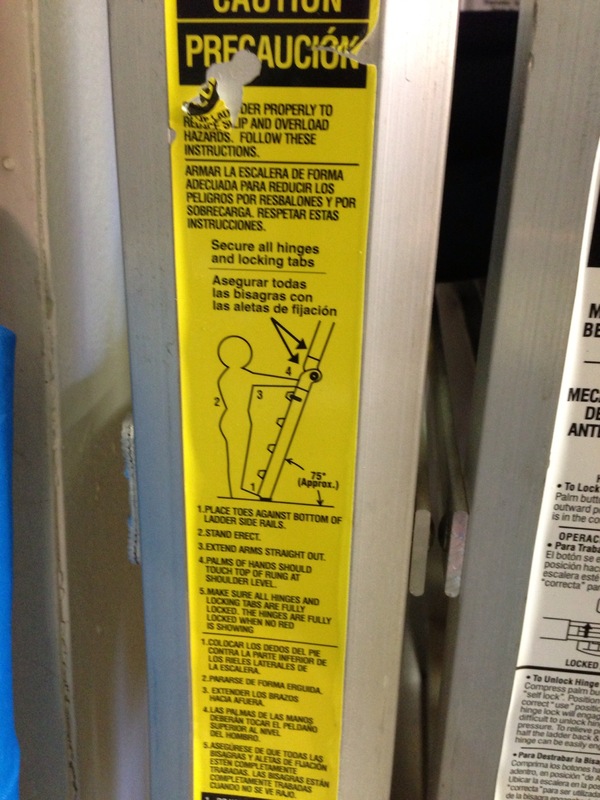 One day when he was sick but bored of Netflix, I took him on a hunt for the warning labels around the house. We found a few gems like a man on fire and child being crushed by a garage door. As morbid as it was, I was able to teach him about safety at the same time, how to call 911, and what our address is. I don’t think this would have been a good activity for my older daughter at his age because she is rather sensitive and wouldn’t sleep for a week thinking about all the possibilities, but Micah’s the type of kid that can handle it. He actually enjoyed and it, and when we have visitors over, he likes to point them out and warn them not to close the garage door on his head. Hey, whatever works, right? One of the things I love about the holidays is the food. One of the things I hate about the holidays is the food. It never ends. We always make more than enough, which leaves us eating leftovers for days. I don’t know about you, but I can only eat so many turkey or ham sandwiches. Dice the leftover ham, and mix it with hash browns or roasted potatoes, scrambled eggs, and cheese. Feel free to add anything else you have on hand like sautéed onions and peppers, avocados, and salsa. Keep this mixture in the refrigerator for easy assembly in the mornings, or fill tortillas for an easy grab-and-go breakfast. I love quiche for breakfast, lunch, and dinner. Here are some of my favorite recipes for quiche. The last one calls for bacon, which is always a good thing, but ham works well too. Use the unbaked, refrigerated croissant dough found in your grocery store. Separate into 4 squares. Place diced ham and grated cheese in the middle and fold the edges over. Bake according to the directions on the package of croissants. Enjoy! Tip: It’s also delicious with brown mustard on top. My kids scored this Christmas. They received some really fun toys. The past week has been busy with playing new board games like Trouble, Pop the Pig, and Beat the Parents, trying out new video games (Toy Story, Sonic, and Just Dance 2014), and setting up a Barbie Dream House. 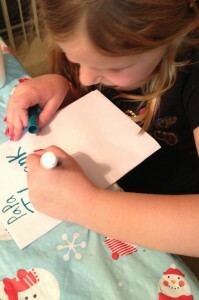 After a few days of non-stop play, I sat my kids down to write thank you notes. I remember doing it as a kid, and although it was a pain to do when you’re 8, it showed me that being grateful and acknowledging someone’s gift to you is important. It helps create a whole attitude in us to recognize the blessings, to come out of ourselves, and recognize another’s thoughtfulness, sacrifice and love in the gift that they chose. I remember thinking as a kid “Why do I have to write a note? I told them thank you when I opened the gift and before they left. A note isn’t going to matter.” But it does matter. Because it’s a step.A step down the road of a life of gratitude. And gratitude leads to joy. Don’t we want our children to have lives full of joy? Don’t we want them to wake up every morning and see blessings instead of being blinded by inconveniences and experience wonders rather than only focusing on frustrations? That starts with being thankful for what we have today, with thinking about someone other than ourselves, with expressing gratitude because someone thought about us, loved us, sacrificed for us, and gave of themselves to make us happy.